When Nicky's Aunt Flora asks her to be a bridesmaid, Nicky agrees. But she isn't very happy about it. She doesn't like frilly dresses and she suffers from hay fever. However, with her mother's help, it all goes well. 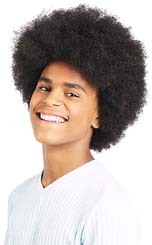 Everyone has great fun. 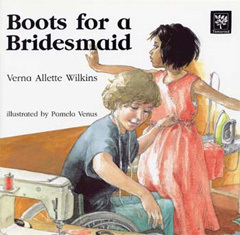 Boots For A Bridesmaid by Verna Allette Wilkins and Pamela Venus features Nicky, a mixed-race child whose mother has a spinal injury and is in a wheelchair. In this positive portrayal we see a mixed-race family that are used to doing both everyday and special things together. Boots For A Bridesmaid by Verna Allette Wilkins and Pamela Venus is available to buy now.